Pastoe, formerly UMS (Utrechtse Machinale Stoel- en Meubelfabriek, ‘Utrecht Mechanical Chair and Furniture Factory’, established by Frits Loeb in 1913. After 1945, the company started to focus on modern contract furniture under the direction of Cees Braakman, who was responsible for product development until 1978. He came up with the Pastoe system, a product family of modular units made of laminated wood which could be combined according to one’s own taste. Pastoe also made and produced other modular furniture, chairs and tables, and the famous cube of 1967. 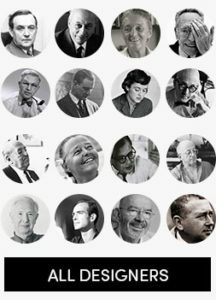 Pastoe cooperated with Harry Sierman for the catalogue, which received the title Best Verzorgd Boek (‘Best Designed Book’) twice. In the late 1970s, the company was facing a crisis, but from 1981 onwards, under the directorship of Harm Scheltens, Pastoe resumed its collaborations with designers such as Aldo van den Nieuwelaar, Radboud van Beekum, Pierre Mazairac/Karel Boonzaayer, Shiro Kuramata and Shigeru Uchida. Scheltens focused on high-quality products, mostly cabinets, with a long service life.